Wikipedia, the free encyclopedia URimagination | URimagination, Inc. 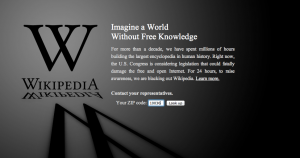 Imagine a World Without Free Knowledge!!!! 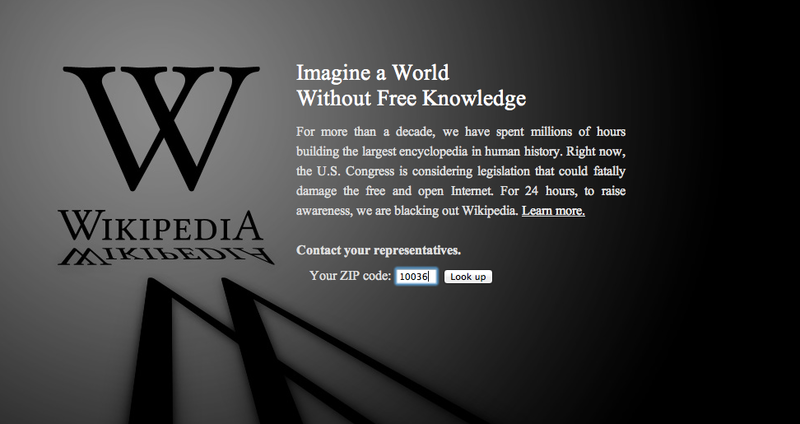 blacking ouFor more than a decade, we have spent millions of hours building the largest encyclopedia in human history. Right now, the U.S. Congress is considering legislation that could fatally damage the free and open Internet. For 24 hours, to raise awareness, we are t Wikipedia. URimagination.com along with WordPress.org and Wikipedia.org Protests The Protect IP Act Many websites are blacked out today to protest proposed U.S. legislation that threatens internet freedom: the Stop Internet Piracy Act (SOPA) and the Protect IP Act (PIPA). From personal blogs to Wikipedia, sites all over the web — including this one — are asking you to help stop this dangerous legislation from being passed. Please watch the video below to learn how this legislation will affect internet freedom, then scroll down to take action.